In my opinion, these are some of the best hair straighteners on the market at the moment. The price isn’t scarily high and the colours to choose from are awesome unlike the grim bubblegum pink straighteners GHD released a few years back. As a style piece, you don’t get better than this. GHD’s capable technology can handle thick and long hair even with these narrow plates although it will take longer than with wide plates of course. The results stay through dampness and sleep and even a hard night of partying so you won’t need to do any touch ups. If you’re buying these as a gift, you’ll be well in with some brownie points and if they’re for yourself then I really don’t think you’ll be disappointed. They curl, wave and straighten and generally save you time and effort. Enjoy! Founded in 2001, GHD changed the face of small hair appliances in a remarkably short time. They had an effect that is still felt and the majority of similar brands have all rushed to follow the path they have created. The original GHD design was bought from a South Korean inventor and sold to salons rather than the general public. This began the phrase ‘salon quality’ that is so bandied about today. By starting in salons before branching out to general consumers, GHD had an already-built reputation. 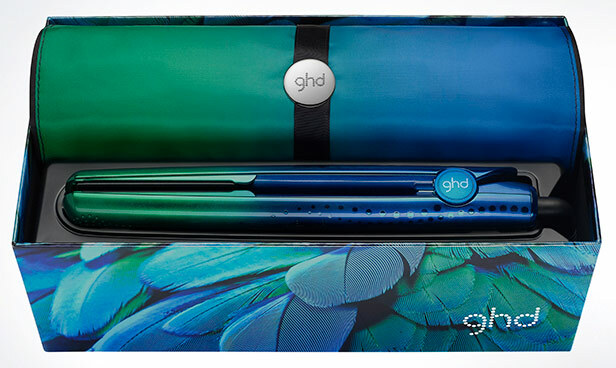 GHD has created this styler with a rather tropical theme involved and it is available in Lagoon (blue and green), Sunset (dark pink and purple) and Coral (pink and orange). They are all, fundamentally the same product though and so I will write about them as one. Firstly, I must start with looks because they are so obvious. Mostly, I dislike overtly colourful appliance and think they look faintly silly but there’s something about this design that I completely love. The colours are tastefully chosen and paired and there’s nothing garish about them – they are classy and sophisticated, a difficult thing to achieve in this realm and GHD has done it. 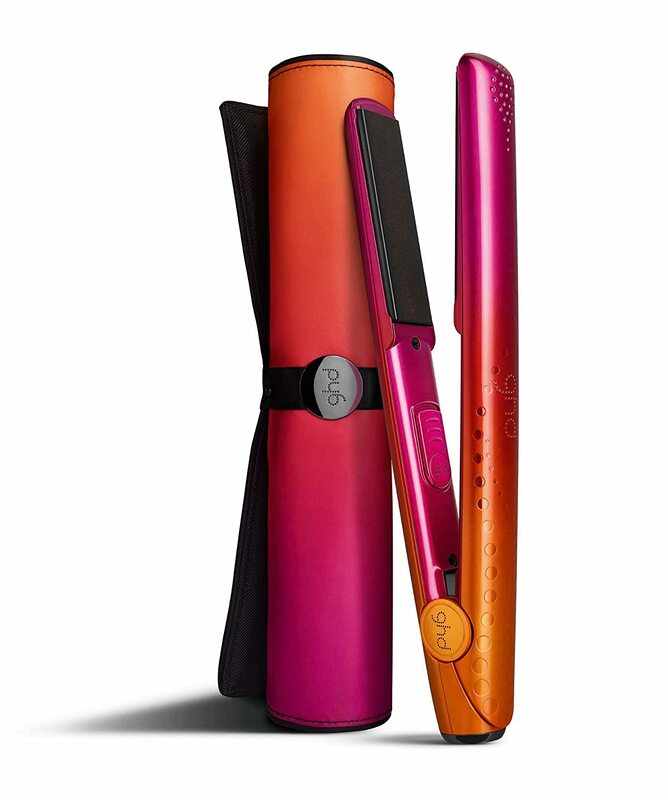 This hair straightener comes with a matching heat mat, universal voltage for easy travelling and a 2.7m swivel cord. All pretty standard although I must admit that the matching heat mat and gift box are really eye catching and give the styler a complete look. This would really be a fantastic gift. The barrel itself is rounded which makes these hair straighteners perfect for curling and waving as well as straightening. It’s this kind of multi-tasking feature that makes GHDs the best of the best. They feature GHDs classic 30 minute auto-shutoff time which I am a huge fan on and heat up incredibly quickly to a standard high temperature like most modern hair irons. Hair glides across the plates with no snagging and curling is simple and easy without creases or dents made in the hair. The result will last for over a day or, really, until you shower or get involved in a downpour. Even curls and waves made with these last a very reasonable amount of time. Their plates are so good that they can happily deal with thicker and longer hair, although if you’re looking for speed you’ll be better off with a wide plate version. The price is high as with all GHD products but I would expect them to last for years and years. They do their job fantastically, look great, feel great and give a pleasing sense of reliability. You can tell I’m a fan right?